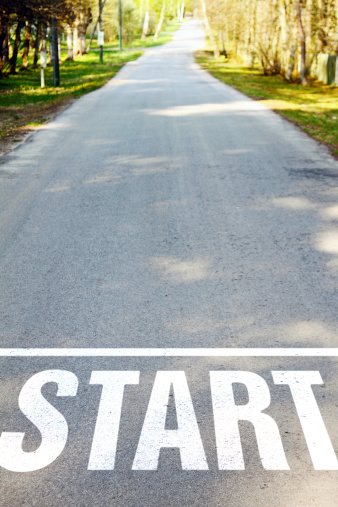 If you’ve thought about planning a race, especially a 5K, there’s a ton of planning involved. Here are five things to think about to help make your race a successful one. Let’s face it: A race is all about the course, and there is a multitude of things to consider as you plan where runners are going to run. In fact, it might be best to put yourself in a runner’s Asics before settling on a final course. Some runners want something that is flat and fast so they can get a PR. Others like the challenge of hills. But what kind? Rolling? Or downright intimidating? In the Elizabethtown Rotary Club’s Mother’s Day Run, the course went up Commandary Road on the grounds of Masonic Village. It’s a brutal hill that winds its way to a steep incline in the last 100 meters. On the other hand, at the top of the hill it’s a scenic view, which many runners, especially those who aren’t blazing fast, enjoy. Other things to consider for a course are the roads themselves and what kind of traffic runners will encounter. Will the course be closed to traffic or open so runners have to run against traffic and beware if they run the tangents? If you have bags of giveaways, spend the time to stuff bags ahead of time. It helps to streamline the registration process if you can find a runner’s name on the list, cross it out when she registers and hand her a bag. Put names in alphabetical order so race bibs are easy to find. Break the alphabet into four or five sections and have someone assigned to that section. Have enough people to handle different responsibilities at the registration table: finding bibs, handing out bags, finding the right size T-shirt. For heaven’s sake, make sure you bring enough T-shirts and other materials to early registration for everyone who comes. Yes, rain checks work, but it can be terribly frustrating for runners if you haven’t planned ahead. Many organizations that hold 5Ks are nonprofits that rely on volunteers, so they have a built-in network to help on race day. If you have a big race with several hundred runners, it’s critical to have a streamlined registration process with multiple people distributing bibs and race packets and at least one person taking day-of registrations. 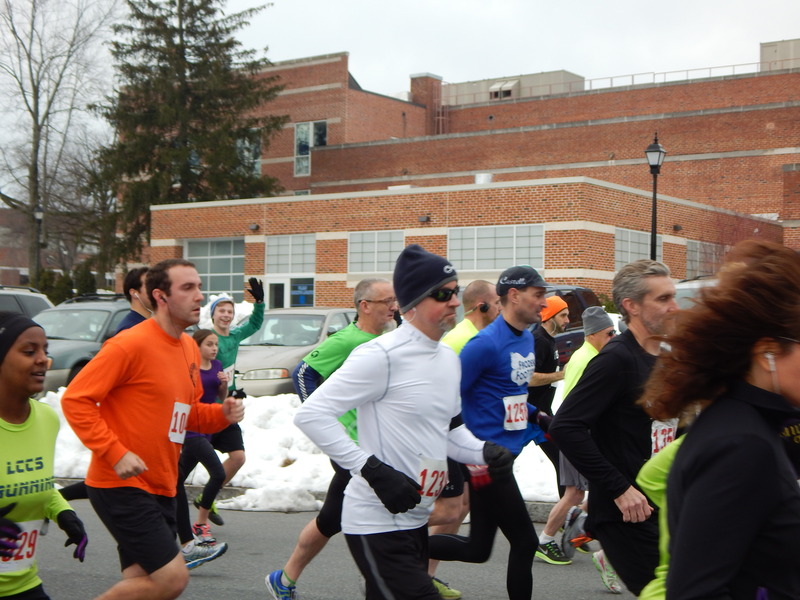 Last December, ARMS timed the Jingle Bell Runs in Lancaster and Mechanicsburg for the Arthritis Foundation. At both races, we had nearly 100 people register the day of the runs. In addition, volunteers serve as marshals on the race course. For runners, especially those in the lead, making turns at intersections can be confusing. Marshals point the runners in the right direction. At the finish line, volunteers can help collect electronic timing chips if they aren’t disposable, work the refreshment table. With 5K races planned for nearly every weekend of the year, it takes some effort to make yours stand out from the crowd. Maybe you want to raise money for a good cause, and that alone will generate interest. Color runs have become immensely popular in recent years, attracting throngs of new runners for the experience of getting blasted with clouds of color. On Saturday night, ARMS will time the Manheim Glow Run held at 9 p.m. with runners lighting the way with head lamps and glow sticks. 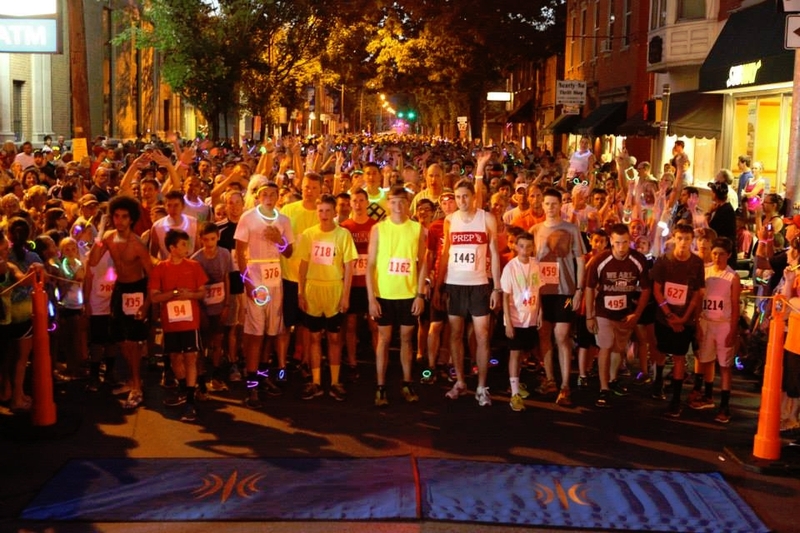 Media reports say last year’s glow run attracted 2,000 runners! Regardless of the race, runners want results quickly. We’re always amazed how many runners gather around as we post the first couple pages of results. If you’re doing awards for various age groups and overall race winners, runners expect to have a presentation soon after the race. A typical 5K will be over in about an hour. Some race directors start their presentation before walkers finish. As I sit and write this — during the first week of April and well into spring — the temperature outside is 41 degrees, and I’m contemplating going for a run. Yesterday was just as cold. It seems that Mother Nature has clung to winter as long as she absolutely could, only teasing us runners with a little warm weather this year. During the winter, I personally like the challenge of bundling up to beat the cold and stay warm while running. That said, it gets old, and by now I long to be able to run in just shorts and short sleeves. Thankfully, the forecast has warmer weather arriving soon. Which means if you found it challenging to run during the winter, now is the time to get back to it. I know it can be difficult to find the motivation, especially if you haven’t run for a while, but consistency is the key to improving how well you run and achieving your goals. If you did run during the winter, you certainly bundled up, wore tights and donned several layers to protect your skin. Now you don’t have worry about that. When the temperatures are in the 60s or above, doesn’t it feel comfortable to run unencumbered by hats, gloves and layers that make you feel like the Stay Puft Marshmallow Man? And if you got new running shorts and shirts, now’s the time to put them on and show them off. Yes, this would be helpful any time of the year, but running with friends makes the time go faster. And unless you’re doing speedwork, your runs should be slow enough so you can have a conversation. So use these times to run and get in shape with friends while socializing and catching up on what you missed over the winter. Few things are more motivating than a race on the calendar, regardless of the distance. Sign up now for a 5K in a month, and spend the next four weeks rebuilding your base mileage and doing some speedwork. You don’t have the weather to blame! If you’re goal race is a half marathon or a marathon later this year, use the change in seasons build your base and add the mileage slowly so you’re ready to hit the training program this summer. Don’t forget that you check out races through the Applied Race Management website. We’re planning some significant changes to the Applied Race Management website. The biggest news is that ARMS is now hosting the . You can find it at www.harrc.org . We are most excited at this change because it has expanded the ARMS calendar to include HARRC’s races. Now you will see race listings from far and wide. In addition, we are working to make the website a one stop shop for all things running and racing. We have also expanded our advertisement space on the site. We think it is going to give race directors great exposure and provide you, the runner, access to far more races. Beginning in late April or May the site will have a new look. The new design will give us a fresh appearance and will work better on mobile devices. It will also be better for viewing our photo and video galleries. Our blog is changing, too. We plan regular posts and updates, and our hope is that this space will become an interactive community for runners to engage with each other, exchange ideas about running or maybe just to find someone to run with. 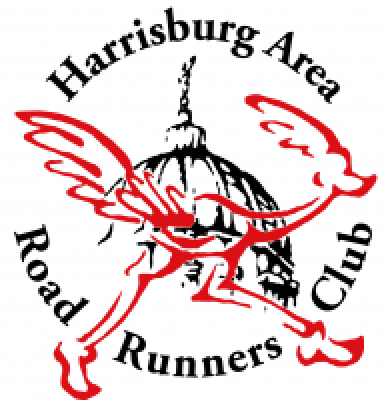 I know from my experience that I always see people in the area running, but there’s not a coordinated running group in the Elizabethtown area. I want ARMS to help out with that. Honestly, as a runner I always like running with people and want to facilitate that for other runners as well. Our blog will also be tied into our Facebook, Twitter and Instagram accounts so you can find us when you are on the run. Race 2 results are up!! And they are off…….Thank you to all those who ran the race today! It was another great day to run! Todays race results are up I am working on the Series results now. February 8th sounds like it is going to be another great day to run the Frozen Foot 5K Race 2. You can register race day from 12:15 pm -1:45 pm in the M&M Mars room of the Leffler Chapel on the campus of Elizabethtown College. 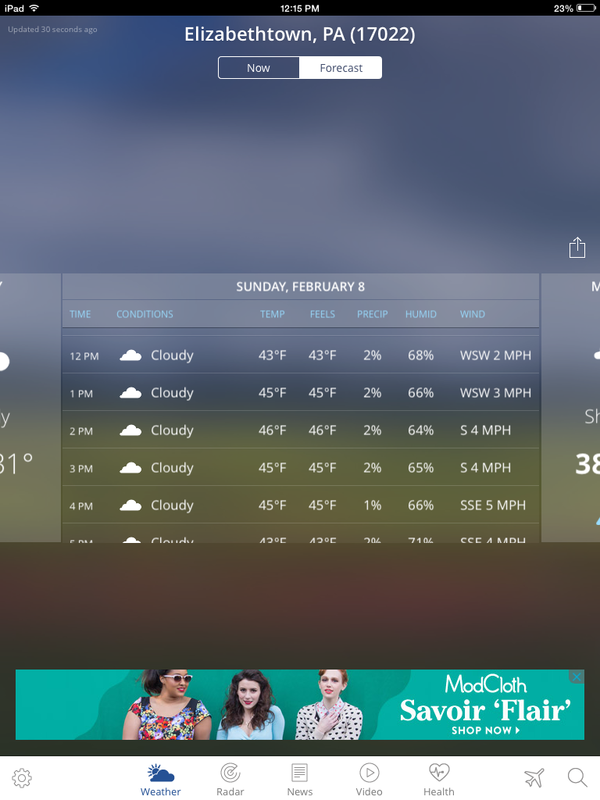 Looks like it will be a tropical 46 degrees at our 2:00 pm race start!! !